The Life Application Bible Commentary series is the only commentary to offer sermon and lesson applications alongside stirring commentary. Each volume in the series provides in-depth explanation, background, and application for every verse in the text. Perfect for sermon preparation and lesson planning, this one-of-a-kind reference provides excellent quotes and a bibliography for additional commentary. 1 & 2 Timothy, Titus : Life Application Bible Commentary by Bruce B Barton;David Veerman;Neil S. Wilson was published by Tyndale House Publishers in January 1994 and is our 31521st best seller. 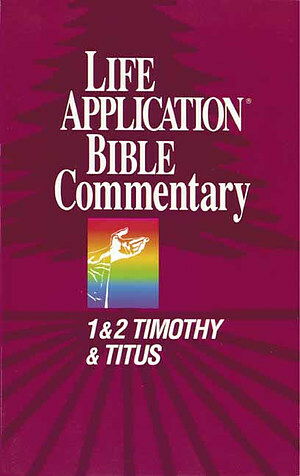 The ISBN for 1 & 2 Timothy, Titus : Life Application Bible Commentary is 9780842328326. Be the first to review 1 & 2 Timothy, Titus : Life Application Bible Commentary! Got a question? No problem! Just click here to ask us about 1 & 2 Timothy, Titus : Life Application Bible Commentary.